Home » Products » GP FAST Diode Laser Portable GP Fast Diode Laser is now available in its brand new portable version! 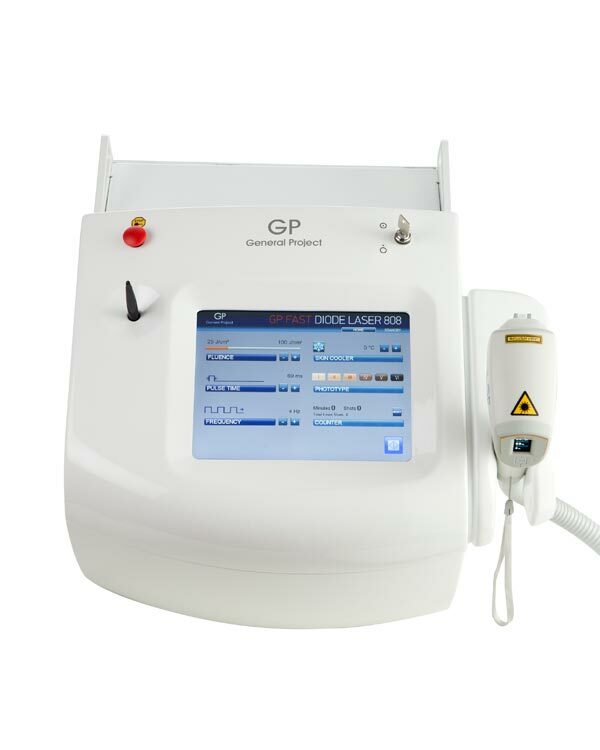 GP Fast Diode Laser is now available in its brand new portable version! Effective and powerful, the new and easy to handle GP FAST Portable hair removal device can treat all kind of Skin types quickly, safely, effectively and without pain due to to its aggressive contact cooling and the option of having two handpieces. A 808nm wavelength that allows the laser beam to penetrate in depth into the dermis and, then, to be absorbed by hair bulb ; and a 760 nm wavelength that has all the Alexandrite functions with the benefits of a Diode! GP FAST Portable hair removal machine becomes the most effective and versatile hair removal device in India, which provides a complete solution for hair removal. 640 Watt powers GPFAST Portable with a high speed of 12 impulses per second. A rapid scan, which sense the target rapidly that leads to faster treatments effectively. The latest generation high power-cooling system offers a more comfortable treatment to patients. The all-new integrated display on the handpiece allows the continuous monitoring of the treatment in execution and an easy selection of parameters. Preset programs, customized for the different skin type to treat, makes the selection of the parameters simple and intuitive for operators. With the new Alexandrite laser(760nm) handpiece, which has the higher melanin absorption is even easier to treat dark skin, thinner and lighter hair with no pain. Safe, effective, painless, easy to use and handy GP FAST hair removal machine is the easiest and complete solution for hair removal.